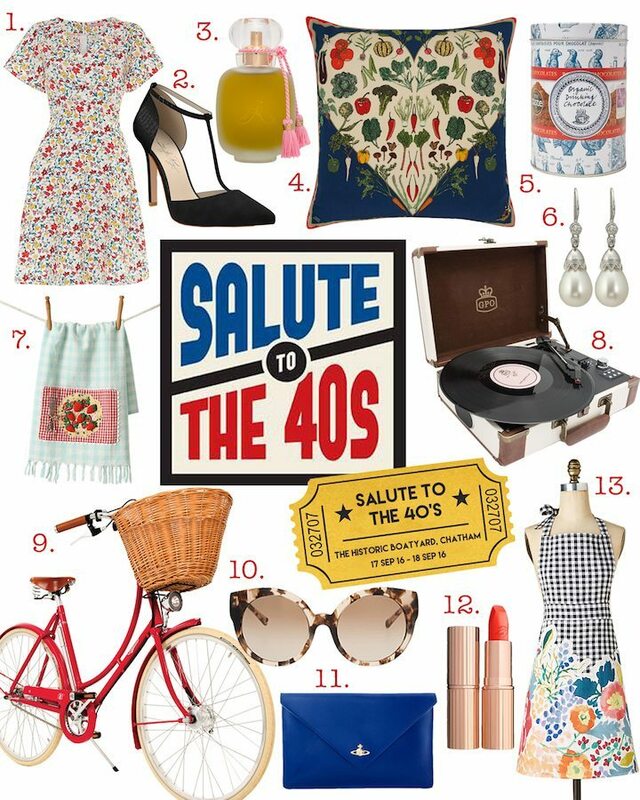 Muddy Stiletto’s Salute To The 40’s! Read the full article here & sign up to the Muddy Stiletto newsletter to reveal awesome news, blog posts & insights for all things local, fashion & lifestyle! We are very excited to announce that we are now Official Stockists of Lucy Quartermaine Jewellery! Lucy Quartermaine is an award-winning young, English contemporary Jewellery designer and silversmith. Her designs can be seen on numerous A listed British and American Celebrities and in many high end publications such as Red, Vogue, Look, Cosmopolitan and many more. Lucy Quartermaine is known for her innovative, playful, yet timelessly beautiful pieces in highly-polished Sterling Silver. Lucy takes inspirations from all around her – one of these being Water which can be seen in her ‘Drip Collection’ – now featured on our website & in our Whitstable store. We fell in love with Lucy’s organic & fluid designs which make her pieces completely unique & eye catching. The range is now available to purchase in store & on our online boutique. Click here to be directed to our shop. We are super excited to be exclusive stockists of the luxurious, unique brand & hope you all love the collections as much as we do! Autumn is fast approaching & we have some stunning new collections arriving in store & online. This gorgeous, detailed collection is all handmade in Sterling Silver & 18ct Gold & is available to purchase now instore & online. We have reached September & to celebrate we are offering 20% Off all orders over £50.00 to all of our online customers! Simply enter voucher code: THANKYOU20 at checkout to obtain your discount! This offer is valid until 30th September 2016, whilst stocks last. Click here to be directed straight to our online boutique! This gorgeous, simple Collection features nautical symbols, fish & shells all delicately detailed in solid Sterling Silver. Perfect for wearing alone, or layering these are the perfect Whitstable tokens to always keep the beach with you. This colourful range utilises the gorgeous colours & textures of Venetian, Murano Glass – a real treasure. Available in beautiful Aqua’s & Sea Greens combined with Sterling Silver & Gold to look like crashing waves all within single Pendants & Charms. 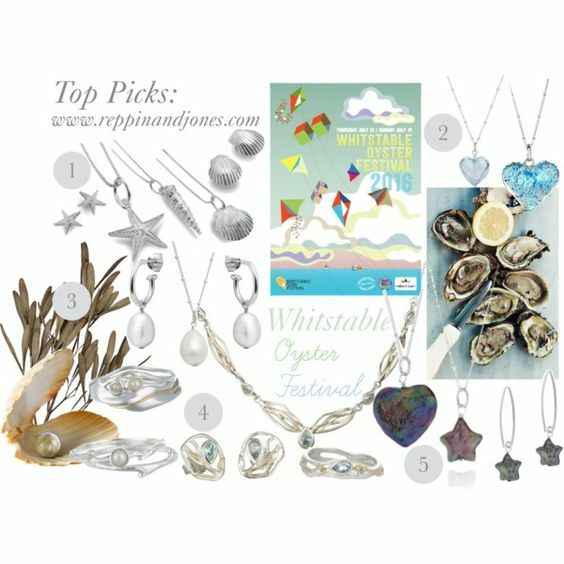 Pearls will always be classic, timeless & beautiful, but combined with flowing, Organic Silver, you can really get a modern style going with a boho-chic twist – the perfect Beach Festival look! Following on from number 3, Blue Topaz is the perfect Summer colour. The sparkling stones evoke images of the wind, sky & water whilst set in the flowing Organic Silver that has been a huge hit with our customers this year. This beautiful range features deep, peacock coloured pearls in beautiful shapes & combined with Sterling Silver. Naturally uneven in their original form – stunning! Reppin & Jones: Kent’s Best Jewellery Store! We were recently informed that we had made the finals of The Muddy Stiletto Awards! As per our last post, this was a wonderful surprise & we are so proud to announce that we did indeed win this title! We had a beautiful evening at Hush Heath, Staplehurst celebrating with other finalists from all over Kent including fellow winners, Harbour Books, Whitstable who won Kent’s Best Bookshop! It was wonderful to network with other Business’ & celebrate our winning with a glass of bubbles & canapes. 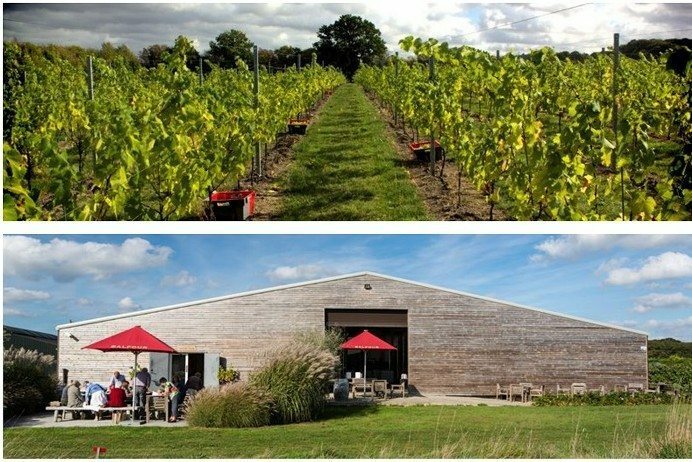 We would like to take this opportunity to thank Muddy Stiletto’s for this great opportunity & for hosting such a wonderful event, Hush Heath Winery & most of all, all of you who voted for us, we are honored to of won such an amazing title & here’s to a brilliant year being Kent’s Best Jewellery Store! We are now in the finals to win Best jewellery Store in Kent, by the Muddy Stiletto Awards! If you are yet to vote, or wish to vote again using another email address, we would much appreciate it. Voting ends at 12pm on Tuesday 14 June, and winners will be formally announced at 4pm that day. We would like to say a huge thank you to all of you that have voted for us! The support we have received has been phenomenal & we are so very grateful to all of our wonderful customers for your constant support! So 2016 has seen the arrival of some amazing new collections! Otis Jaxon have designed & created beautiful ranges highlighting this seasons must have trends & combining them with classic, wearable styles. We have come up with the ‘Top 10’ Collections for this Spring which have proven to be the most popular amongst our clients & regular fashionistas…! This simple yet contemporary collection, inspired by Coffee Beans has been a hit this season. Wearable, versatile & unique this range offers an understated yet stylish addition to your Jewellery Box! Available now whilst stocks last, in store & online. Our range of Spinning Rings are forever a best seller & we guessed correctly when wondering if the Otis Jaxon Spinning Bangle would be another huge hit! Set in solid, hammered Sterling Silver for a chic, stylish texture with an inner, spinning Brass inlay – the resulting movement makes it impossible not to twiddle! This stunning set was a winner from day one! Chic, minimal, contemporary yet timeless, this Pentagon Collection has been inspired by the latest trend of Geometric lines whilst keeping a classic, wearable style. These beautifully elegant earrings are feminine yet modern with a single Freshwater Pearl – completely unique & unlike anything you will see around! This beautiful collection is handmade entirely out of wire & fashioned into a stunning simple knot. 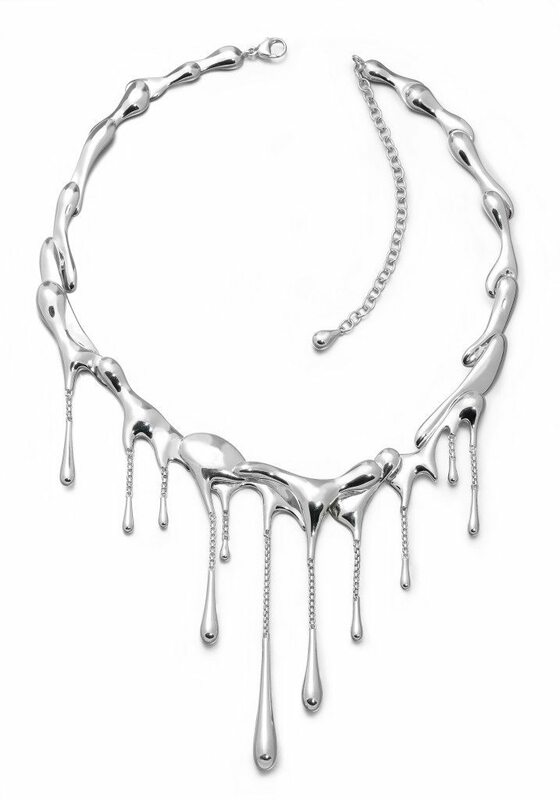 Otis Jaxon has created a beautiful range of statement pieces all in rich Sterling Silver. Again, wearable yet unique Geometric lines play a huge part in this collection with the options for 18ct Rose or Yellow Gold styles also available. This gorgeous collection consists of contemporary Hearts: combining modern lines with an eternally classic symbol. Minimal,unique & fluid in design, this Collection features two size Pendants – Large & Small, with drop & stud earrings. This Collections has been such a huge hit with our customers. Featuring simple, wearable Pendants & Earrings all including a single Knot, this range is a hit with all ages & styles with an extremely wearable feel for everyday wear or dressed up for an event with the larger, Statement Nautical Knot Collarette. Spring/Summer 2016 sees the trend of fine lines, modern & minimal using tri-colour combinations of Rose, Yellow & White metals. This style can be seen throughout our Otis Jaxon Collection & has been our best selling style this year. From chic & understated Ear Jackets to Cuffs & Stacking Rings, these pieces are lucrative in style & sophistication, sure to catch attention! These beautifully crafted Earrings are a total show stopper! Reminiscent of fluid pieces of ribbon, this Collection has been highly sought after since arriving at Reppin & Jones this Spring. Available now, in store & online whilst stocks last! In March 2014 we was featured by Vogue Magazine with our beautiful Rose Gold, Opal and Yellow Diamond Pendant which was inspirted by the night sky over the sea.